Synthetic Oil vs Regular Oil | Gold Eagle Co. 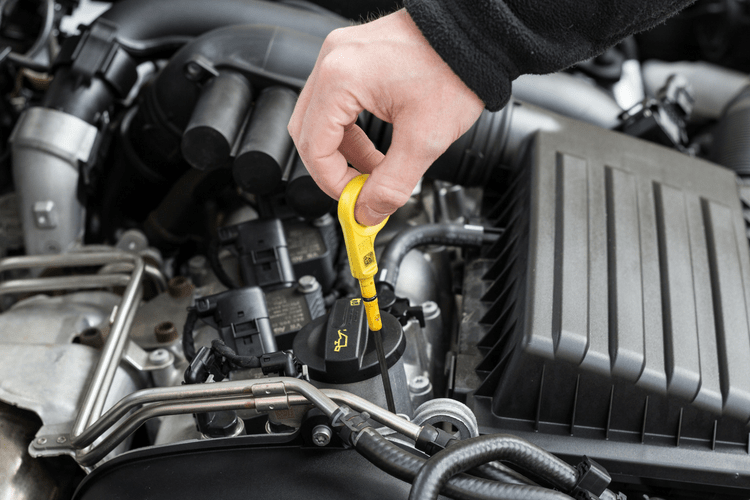 Synthetic Oil vs Regular Oil, What’s the Difference? Pricing is an important factor to consider for most consumers, and conventional oil trumps synthetic oil when it comes to price. That’s because synthetic oil is typically more expensive than conventional oil. In fact, the synthetic oil price range can go between two to four times more than that of regular oil. A blended oil, which is part synthetic oil and part conventional oil can also offer additional cost savings if you want to still have some synthetic oil in your car but without the heightened price. That price is typically in addition to the labor for the oil change if you decide to have someone else change your oil, which already costs typically between $20 to $55. So, it synthetic oil may not be necessary to buy unless your car manufacturer requires it. When you’re trying to decide whether to choose synthetic oil vs. conventional oil for your next oil change, then it’s important to consider how well your vehicle performs with either oil. Synthetic oil is typically considered a higher-efficiency oil , and oils with high efficiency often mean better vehicle performance. Synthetic oil provides the advantage of offering better mileage performance thanks to its ability to resist breaking down. Another advantage of synthetic oil over conventional oil is that you’ll likely have to do fewer oil changes. When you’re making a decision on synthetic oil vs. regular oil, you have to consider how well it protects your engine, too. One of the main advantages to using synthetic oil vs. conventional oil is that it helps protect your engine during extreme temperatures. For example, synthetic oil is typically better to use than conventional oil all cold days because it reduces the wear on the engine since its effective at managing the flow of cold temperatures in your car. It’s reliable with withstanding extreme heat as well. Synthetic oil also helps prevent sludge buildup in engines. This factor is especially beneficial if you use a vehicle that is older and more prone to sludge buildup, such as a car from the early 21st century or one that is over 20 years old. Whether you’re considering synthetic oil vs. conventional oil, price, performance and the protection of the components of your vehicle are all important considerations to take into account. Ultimately, choosing regular oil, synthetic oil or a blended oil is going to boil down to the advantages and disadvantages each one has based on price, performance and the protection factor. Whichever oil you choose, it’s important to keep up with your car maintenance schedule and choose the best oil based on manufacturer recommendations, including how well the oil protects your car’s engine and how well your vehicle performs.